Is your over-crowded mind an overwhelming place to live? Is your brain always buzzing? Take a deep breath and get excited. You’re about to discover how to shift from frazzled to focused and from chaos to clear. 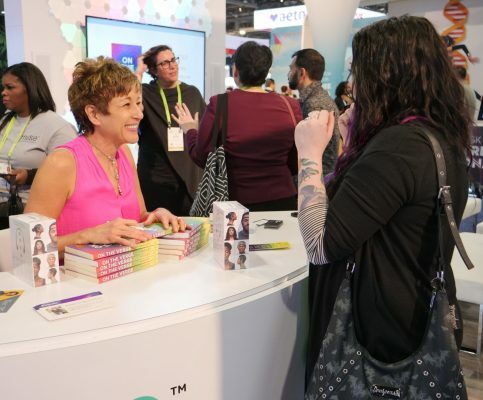 On The Verge is a call to break free from your busy mind — beyond distraction, drama, doubt, and fear and show up in this moment, on the verge, where you always feel clear, confident, and fully alive. Living on the verge is not about being someone different, as there’s no “better version of you” on the horizon. Everything you’re searching for is available to you in this moment. Everything you need is right here on the verge. A must-read for anyone who is passionate about peak performance at home, work, and at play. It is possible to rediscover our natural confidence and express such strength and clarity into our everyday lives? 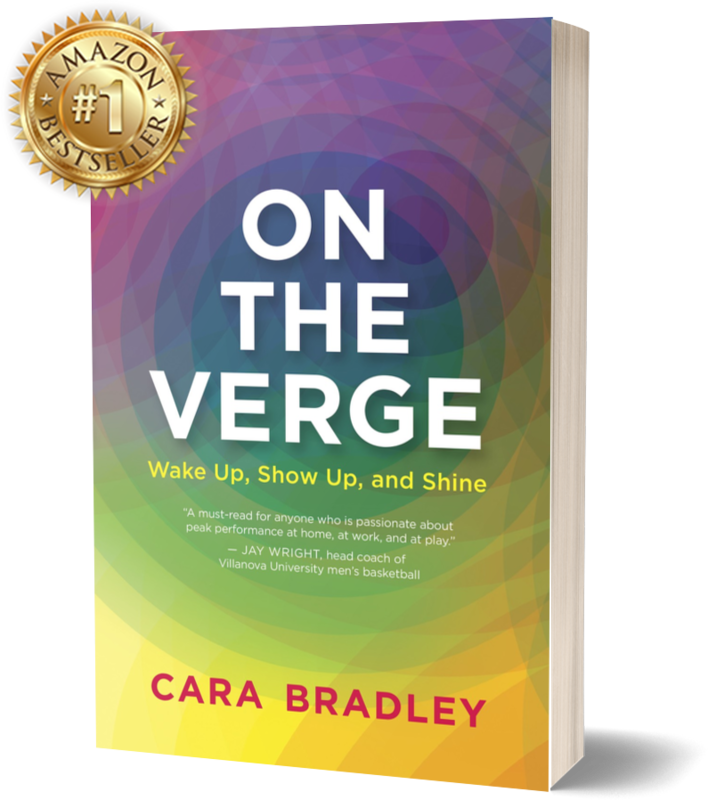 Cara Bradley’s book offers us a resounding ‘yes’ — that each of us is always on the verge of waking up — all we have to do is fearlessly make the leap. This is an important book for anyone seeking clarity, purpose, and meaning in their life. Cara Bradley draws on her extensive experience as a teacher and a coach to offer specific tools for everyday life and an approach to applying them that works. If you’ve ever longed to tap into the power and energy of your very best moments again and again, Cara Bradley will show you how. On the Verge helps you access your natural potential and shine brightly in all aspects of your life. On the Verge is a compelling book of wisdom and practicality that supports all of us on this journey of life. In her book, Cara Bradley reveals teachings that empower us to address our roadblocks and embrace life from a real and grounded approach. You can tell that Cara Bradley walks her talk. Her advice on mindful movement comes from lived experience, and it’s not about having a big special project in addition to everything else you’re doing. It’s about how to incorporate movement and meditation into the life you already have. Whoever you are — an athlete, a mom who runs a business, a retiree — there ’s something here for you. In this book, Cara Bradley gives us much-needed insights on how to keep our practices sharp and our attitude alert. The core question that drives this book is ‘How can we be most alive in every single moment?’ Cara provides us with Primer Practices and Gut Checks we can use to keep tuning up our daily practice and stepping up our game. What an exciting and enjoyable journey! Cara Bradley offers helpful and unique ways to move from being a bystander in life to a full-on participant. . . . Blending her own experiences with tried-and-true meditation and mindfulness techniques, she offers us easy and accessible ways to be joyful and present and to find peace and quiet in our lives every day.